In 2010, NASA announced its commitment to mount a crewed mission to Mars by the third decade of the 21st century. Towards this end, they have working hard to create the necessary technologies – such as the Space Launch System (SLS) rocket and the Orion spacecraft. At the same time, they have partnered with the private sector to develop the necessary components and expertise needed to get crews beyond Earth and the Moon. To this end, NASA recently awarded a Phase II contract to Lockheed Martin to create a new space habitat that will build on the lessons learned from the International Space Station (ISS). Known as the Deep Space Gateway, this habitat will serve as a spaceport in lunar orbit that will facilitate exploration near the Moon and assist in longer-duration missions that take us far from Earth. The contract was awarded as part of the Next Space Technologies for Exploration Partnership (NextSTEP) program, which NASA launched in 2014. In April of 2016, as part of the second NextSTEP Broad Agency Announcement (NextSTEP-2) NASA selected six U.S. companies to begin building full-sized ground prototypes and concepts for this deep space habitat. Alongside such well-known companies like Bigelow Aerospace, Orbital ATK and Sierra Nevada, Lockheed Martin was charged with investigating habitat designs that would enhance missions in space near the Moon, and also serve as a proving ground for missions to Mars. 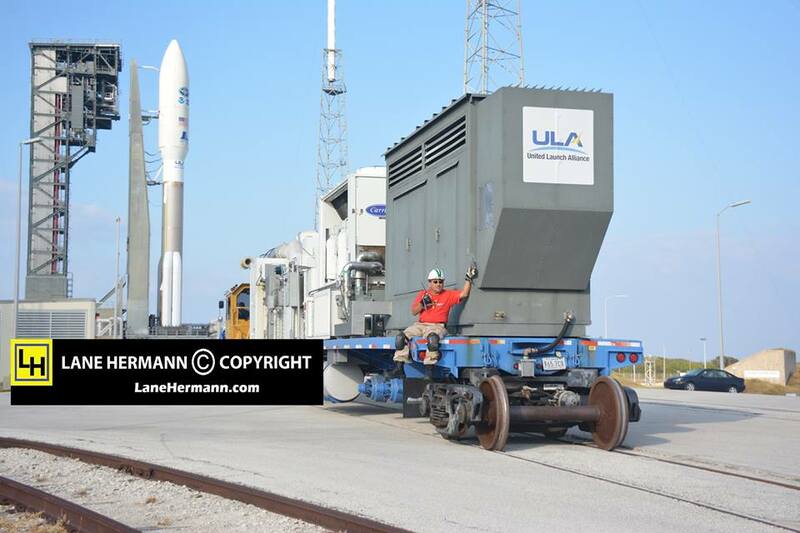 Intrinsic to this is the creation of something that can take effectively integrate with SLS and the Orion capsule. In accordance with NASA’s specifications on what constitutes an effective habitat, the design of the Deep Space Gateway must include a pressurized crew module, docking capability, environmental control and life support systems (ECLSS), logistics management, radiation mitigation and monitoring, fire safety technologies, and crew health capabilities. The design specifications for the Deep Space Gateway also include a power bus, a small habitat to extend crew time, and logistics modules that would be intended for scientific research. The propulsion system on the gateway would rely on high-power electric propulsion to maintain its orbit, and to transfer the station to different orbits in the vicinity of the Moon when required. With a Phase II contract now in hand, Lockheed Martin will be refining the design concept they developed for Phase I. This will include building a full-scale prototype at the Space Station Processing Facility at NASA’s Kennedy Space Center at Cape Canaveral, Florida, as well as the creation of a next-generation Deep Space Avionics Integration Lab near the Johnson Space Center in Houston. The full-scale prototype will essentially be a refurbished Donatello Multi-Purpose Logistics Module (MPLM), which was one of three large modules that was flown in the Space Shuttle payload bay and used to transfer cargo to the ISS. The team will also be relying on “mixed-reality prototyping”, a process where virtual and augmented reality are used to solve engineering issues in the early design phase. The Deep Space Gateway will also rely on the Orion crew capsule’s advanced capabilities while crews are docked with the habitat. 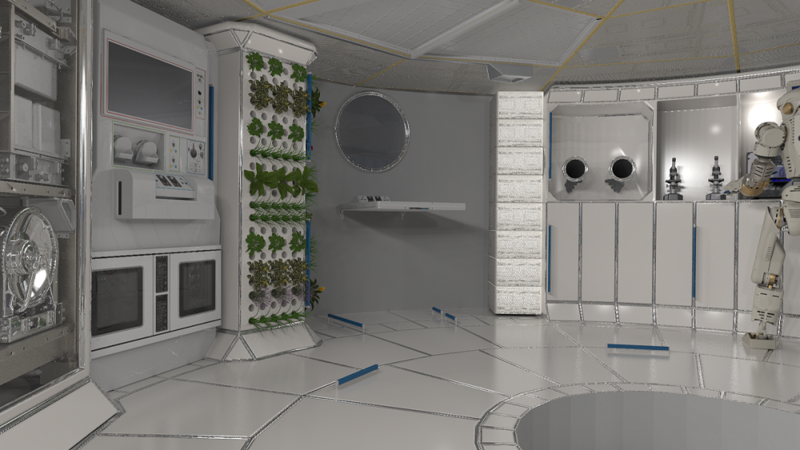 Basically, this will consist of the crew using the Orion as their command deck until a more permanent command module can be built and incorporated into the habitat. This process will allow for an incremental build-up of the habitat and the deep space exploration capabilities of its crews. The Phase II work will take place over the next 18 months and the results (provided by NASA) are expected to improve our understanding of what is needed to make long-term living in deep space possible. As noted, Lockheed Martin will also be using this time to build their Deep Space Avionics Integration Laboratory, which will serve as an astronaut training module and assist with command and control between the Gateway and the Orion capsule. Beyond the development of the Deep Space Gateway, NASA is also committed to the creation of a Deep Space Transport – both of which are crucial for NASA’s proposed “Journey to Mars”. Whereas the Gateway is part of the first phase of this plan – the “Earth Reliant” phase, which involves exploration near the Moon using current technologies – the second phase will be focused on developing long-duration capabilities beyond the Moon. For this purpose, NASA is seeking to create a reusable vehicle specifically designed for crewed missions to Mars and deeper into the Solar System. The Deep Space Transport would rely on a combination of Solar Electric Propulsion (SEP) and chemical propulsion to transport crews to and from the Gateway – which would also serve as a servicing and refueling station for the spacecraft. This second phase (the “Proving Ground” phase) is expected to culminate at the end of the 2020s, at which time a one-year crewed mission will take place. This mission will consist of a crew being flown to the Deep Space Gateway and back to Earth for the purpose of validating the readiness of the system and its ability to conduct long-duration missions independent of Earth. This will open the door to Phase Three of the proposed Journey, the so-called “Earth Indepedent” phase. At this juncture, the habitation module and all other necessary mission components (like a Mars Cargo Vehicle) will be transferred to an orbit around Mars. This is expected to take place by the early 2030s, and will be followed (if all goes well) by missions to the Martian surface. While the proposed crewed mission to Mars is still a ways off, the architecture is gradually taking shape. Between the development of spacecraft that will get the mission components and crew to cislunar space – the SLS and Orion – and the development of space habitats that will house them, we are getting closer to the day when astronauts finally set foot on the Red Planet!